The Living Lab model was first conceived in 2004 by a group of museum professionals at the Boston Museum of Science and child development researchers at Harvard University and the Massachusetts Institute of Technology. The idea was to create a research/education model that benefitted the museum, the researchers, and the museum visitors. A small space in the Discovery Center area of the Museum of Science was set aside for the first researchers taking part in the endeavor. For more information about the Living Lab Initiative and how they support the development of new living labs, please visit their website. 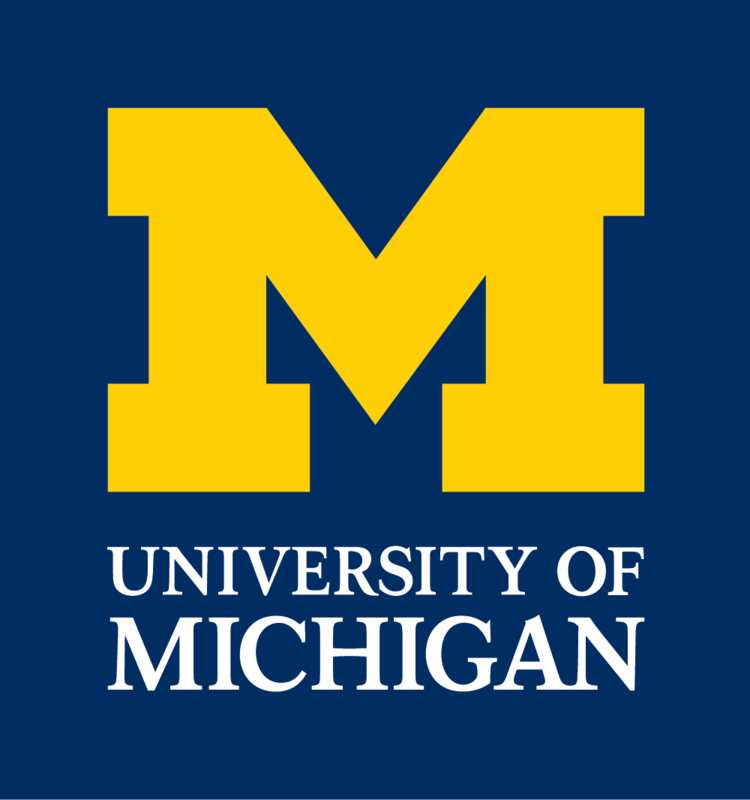 In November of 2012 a unique partnership between the Ann Arbor Hands-On Museum (AAHOM) and psychologists from the University of Michigan was launched and later expanded to include the UM Museum of Natural History. 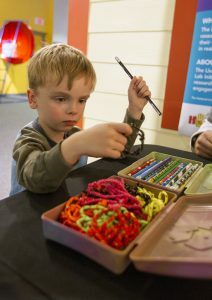 The Living Lab at its core was to create a space where UM researchers conduct real psychology studies with visiting children and their parents at the museum. It also gives families the opportunity to talk with researchers about their world, and child development in general. We’re excited to have lots of great contact with the community as we study how children think, learn, and behave! We look forward to seeing you at one of our community-based lab sites. 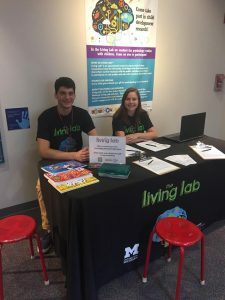 In the Living Lab model, the lab spaces used by a diverse array of researchers serve as both data collection sites and as dynamic exhibits where educating the public about the questions, methods, and findings of psychology and other disciplines is a central goal. The research takes place in the open, where the researchers can both collect data and talk with visitors about the studies that are being conducted. 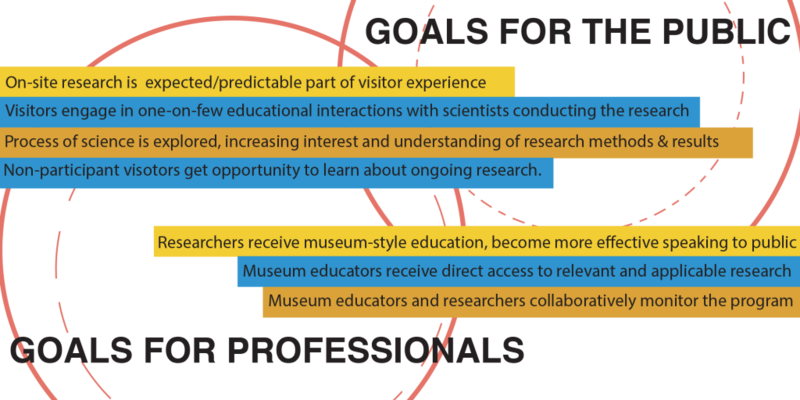 Check our calendar to see when researchers will be in the museums!